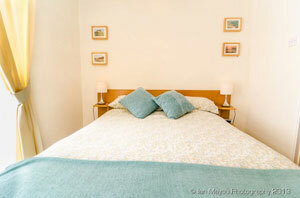 We do offer the option of single occupancy in our larger rooms at a reduced rate out of season, please enquire. We do offer to hold any luggage for you on your departure day so that you can explore the local area. All guests will be given a key to their room as well as the front door, therefore they can come and go at their pleasure, we just ask that they respect the other guests. Breakfast is included in our standard room prices, and is served between 7:15am and 8:15 am, if you require an early breakfast arrangements can be made. We offer a luggage transfer service which can be incorporated into your room tariff. All of our rooms are strictly no smoking, there is a smoking area on the front of house patio.